Are you mystified as to why you do not get the results you want? You can not see the problem? You know that something is causing the turnover and lack of engagement - but what is it? Would like an objective look at your problem from an expert? 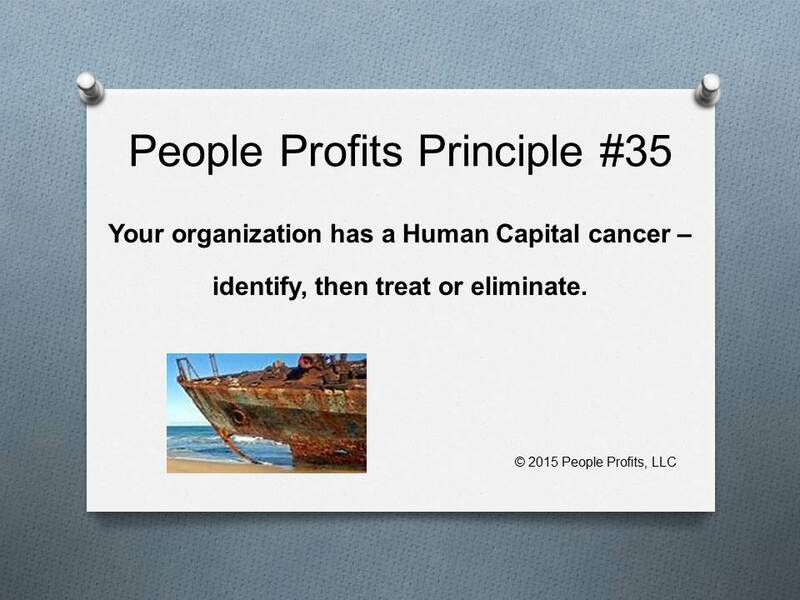 In every organization of any size there will be that Human Capital cancer whether it be a person, a policy, thought process or a multitude of other problems that is eating away at your organization. You must identify it first. In many cases, you know what it is - you just don't want to do anything about it. You must do something - treat it or eliminate it. If you don't - it will destroy your organization.